Dainik Bhaskar has reported about a Typing Test Scam that is ongoing. 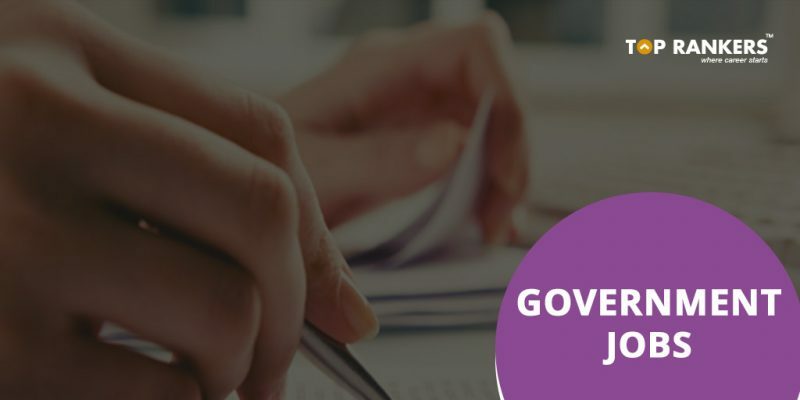 According to the news item that appeared on Dainik Bhaskar the Tying Test will be written by proxy candidates and not necessarily the registered candidate. Candidates with a typing speed more than 60 words per minute will be selected for the job. However, selected candidates will have to pay a bribe of 1.5 lakh rupees. Rajasthan High Court LDC Recruitment is for recruitment of 1726 clerks across the state. 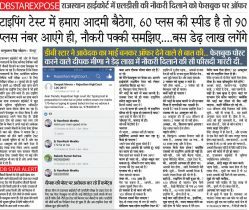 The article also shows a Facebook Conversation that shows that corruption is rampant in the recruitment process in Rajasthan High Court LDC Typing Test Scam. There will be objective type Question Papers containing 100 Questions in each. Both the papers shall be conducted simultaneously in one shift of three hours. Stay tuned for more updates on Rajasthan High Court LDC Typing Test Scam!